A group of sites for a Newmarket, NH business organizing events and adventures for cycling enthusiasts. A local business located in Newmarket, NH needs a group of event websites for the various annual adventures it organizes for cycling enthusiasts. 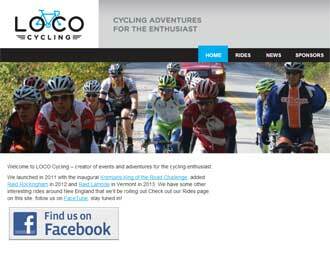 A series of custom WordPress Themes have been developed for all the cycling events. The client can easily update the sites on their own. The sites are maintained with monthly software updates and are kept secure with various anti-hacking tools.